PT Garuda Maintenance Facility Aero Asia - GMFAA or referred to as "PT GMF AeroAsia" is a member of state-owned airline company, PT Garuda Indonesia (Persero) Tbk (Garuda Group) that deals with Maintenance, Repair and Overhaul (MRO). PT GMF AeroAsia provides various MRO services, encompassing line maintenance, base maintenance, component maintenance, engineering services, material services, learning center, SBU GMF Enginee Maintenance, and SBU GMF Power Services. 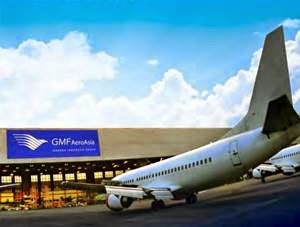 PT GMF AeroAsia is recognized as the South East Asia's biggest MRO company with 972,123 sq-m site located in the Sorkarno-Hatta International Airport, near Jakarta. In term of financial performance, PT GMF AeroAsia has shown another solid performance in 2014. According to PT GMF AeroAsia's Annual Report 2014 as cited by JobsCDC.com, PT GMF AeroAsia successfully recorded its total operating revenues of USD 264,048,576 in 2014, an increase of 14.65% year-on-year (yoy) from the previous year of USD 230,294,144. Correspondingly, total operating profit reached USD 23,662,703, an increase of 32.84% (yoy) from USD 17,812,689 in 2013. Graduated from D3 program of Mechanical Engineering, Electro Engineering, and Electronics Engineering. A minimum final GPA of 2.75 from 4.00 scale. Male with the maximum age of 25 years old. Minimum height of 165 cm with proportional weight. Physically and mentally healthy and not color blind. For those who wear glasses maximum +/- 2. Fluent in English both oral and written (TOEIC Score 475). JobsCDC.com now available on android device. Download now on Google Play here. Please be aware of recruitment fraud. The entire stage of this selection process is free of charge. PT GMF AeroAsia - D3 Fresh Graduate Aircraft Maintenance Technician Garuda Group February 2016 will never ask for fees or upfront payments for any purposes during the recruitment process such as transportation and accommodation.